Salami SpA ‘s cast iron body gear pumps and motors offer the ultimate reliability in a compact size, perfectly suited for both fixed and mobile systems. Cast iron pumps are particularly appropriate for high demand applications such as fork-lift trucks and multi-utility vehicles. Salami pumps and motors are modular and like all Salami products, they have unmatched versatility in the choice of flanges, shafts, coils and integrated valves. 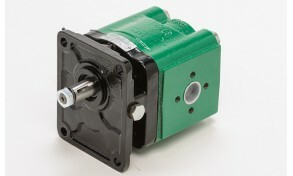 Gear pumps made in cast iron. Gear motor made in cast iron.